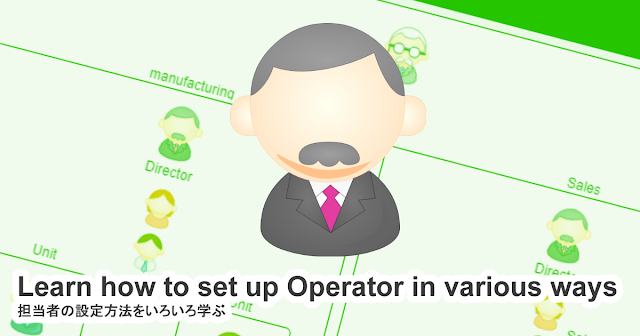 Continuing from the last week, let's study about "Operator setting". In the article of "Episode 587: Designation in Uneven Hierarchy, part 1", I introduced you a method of two-step approval which is to obtain an approval from "superior" then obtain from the "superior's superior". It is a form of approval flow that is common even for other than decision-making. This time, I will introduce a different way of writing about the previous Workflow diagram. In the following Workflow diagram, the second Swimlane is set to "superior of the applicant" (relative designation), instead of "manager" (absolute designation by position). By setting like this, "2. Approval/Decision" task will be assigned to the manager of the organization to which the applicant belongs. That is, if a "member" among "two directors, ten managers, and fifty members" makes a request then a "manager" approves on it, and if "manager" makes, "director" approves it. 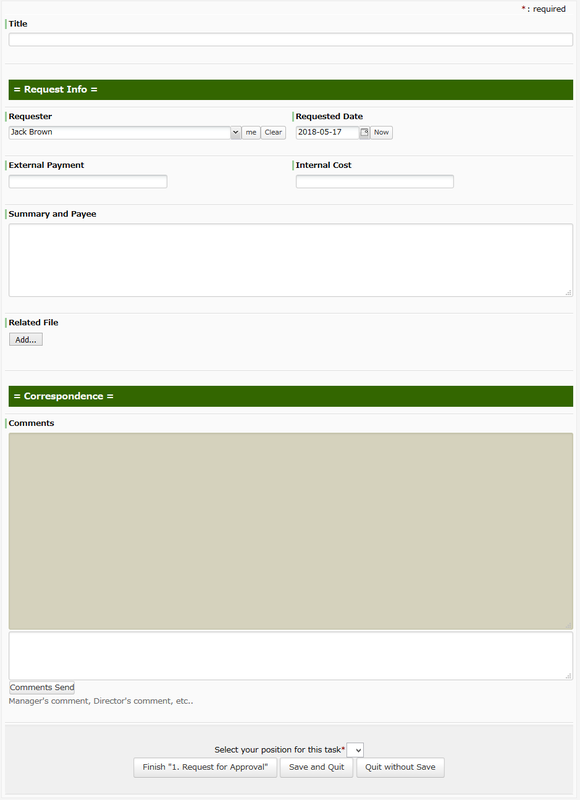 In the Workflow diagram introduced in the last article, when a person at the position of "manager" makes a request at "1. Request for Approval", it is necessary to continuously handle "1. Request for Approval" and "2. Manager's Approval" by him/herself. Whereas, in this Workflow diagram, it goes to director's decision by only making a request. However, in order to realize such a rule, "Managers" must be registered as both "team manager" and "member of the team" in the organizational assignment setting. By doing so, it becomes an operation for a "manager" "to get an approval from his/her superior as a member of the department" at the time of making a request. Incidentally, as for the Directors, they have to handle Task "2. Approval/Decision" in addition to "3. Director's Approval". However, there is no need to send to "3. Director's Approval" the Task which has processed at Task "2. Approval/Decision". After all, for the "Organization with a variation in depth," their Business rule cannot be described simply anyhow. In fact, the statement of Regulations itself, it is inevitable to describe the exception that "as a general rule, with the approval by Manager, Director will make the final decision". In addition, a variety of ways of drawing Workflow diagram can be considered as well as one in the last article (absolute representation 1) or the above (relative representation). Each company needs to consider and select "which description is easy to operate without misunderstanding" in accordance with the actual situation of their own.